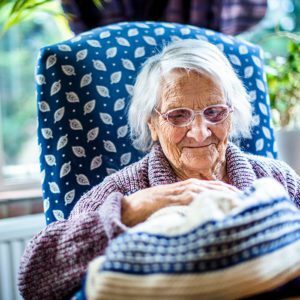 Chilton Croft offers expert dementia, specialist high-dependency nursing and constant care services for residents from the age of sixty years. Our understanding and compassionate service is open to long-term needs, as well as day care, short break respite and palliative care – each individual is treated with the utmost respect to meet their specific requirements during a time that can often be confusing and challenging. Regular room visits and cleanliness, with sensitivity and an appreciation of privacy is always considered to ensure our residents are truly happy and cared for. 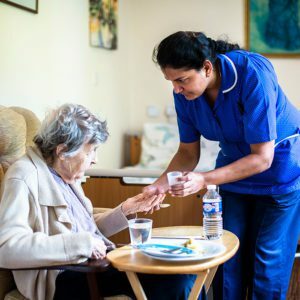 Together with a separate EMI unit, we present an extensive range of skilled care packages, with professional carers specially trained in modern techniques and the latest dementia care developments. Chilton Croft is also equipped with a lift and wheelchair access. Communication is the key for many families and we have an open-door policy so that you can stay in touch with regular relative and resident meetings, or one-to-one updates. No matter how busy your working life is, we will provide feedback to bridge the gap between residential care and family connections. Chilton Croft is inspected and rated Good by the Care Quality Commission, the independent regulator responsible for health and social care in England.